For a truly effective and efficient website, you need great support services. Digital Lamb can take care of all your technical and hosting requirements, and boost your online presence with our e-marketing and online advertising solutions. Have a domain you’d like to register? You can search and register domains through the Digital Lamb website. Go to our Domain Registration page to get started. If you’re not sure, we’d be happy to have a chat and discuss domain options with you. We have our own Dedicated Virtual Server and can offer hosting for a range of platforms. Along with the hosting server space, you will be given Administrative access to manage all your hosting settings and features. 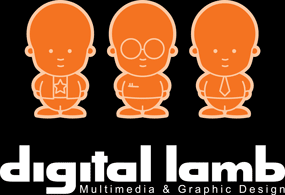 If you’re not sure what to do, Digital Lamb can assist and offer technical support. Digital Lamb offers Technical Support packages that offer features including maintenance on your website, backup management through to phone and email support. You can choose from a range of support levels, from calling with the odd question right through to everything being taken care of on your behalf. Rest assured, if things go wrong we’re here to help. Sick of using your Internet Service Provider email address? Want something that looks more professional than a webmail address on your business card? We can assist in setting up a domain specific email address. If you are hosted with Digital Lamb we can also assist with setting up an email alias, mail forwards to your existing email accounts and auto responders. Wanting to target your consumers via online ads? We can help you design and animate banner ads and hook you up with the means to publish it.